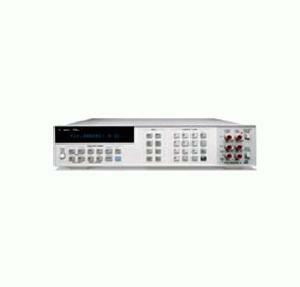 The Agilent 3458A Multimeter, recognized the world over as the standard in high performance DMMs, provides both speed and accuracy in the R&D lab, on the production test floor, and in the calibration lab. The Agilent 3458A is simply the fastest, most flexible, and most accurate multimeter ever offered by Agilent Technologies. In your system or on the bench, the Agilent 3458A saves you time and money with unprecedented test system throughput and accuracy. Select a reading rate of 100,000 readings per second for maximal test throughput. Or achieve highest levels of precision with up to 8.5 digits of measurement resolution and 0.1 part per million transfer accuracy. Add this to the Agilent 3458A´s simplicity of operation, and you have the ideal multimeter for your most demanding applications.